We’ve been reading with some interest of the U.S. government’s increased scrutiny of Russian-owned Kaspersky Labs. Kaspersky, as you may know make antivirus & security software. Kaspersky is being investigated by the FBI, CIA and NSA because of its ties to the Russian government. Kaspersky, on the other hand, is suing Microsoft for anti-trust violations claiming that Windows Defender, which comes with Windows 10, gives Microsoft an unfair advantage and provides Microsoft with an advantage over third-party security software vendors such as McAfee, Kaspersky, Norton, Kaspersky and others. It sounds like sour grapes to us. If you can’t compete with Microsoft – shame on you. If you look closely at Microsoft’s history with security software for Windows, you’ll see why Kaspersky doth protest too much. We are going to explain why we would never trust our PC’s to Windows Defender, despite Microsoft’s insistence that it is committed to providing superior virus, malware and ransomware protection to Windows users. 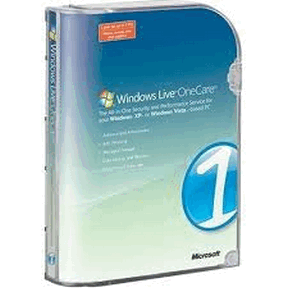 It all started back in the late 1990’s when Microsoft introduce OneCare (later called Windows Live OneCare) – with the same fanfare and promises with which it now touts Windows Defender today. Do any of you even remember OneCare? It was never rated in the top 25 of any antivirus independent lab testing results. Microsoft eventually allowed it to fade away, leaving some users unprotected. And many Windows users angry. At one point Microsoft actually charged for OneCare. Enter Microsoft Security Essentials, also known as MSE. 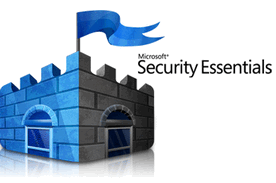 With much hoopla and flourish, Microsoft introduced Microsoft Security Essentials on June 23, 2009. And for the next two years, MSE was one of the top-rated security software products… and we recommended it. MSE was consistently ranked in the top 10 antivirus products by several independent testing lab. Microsoft’s commitment to MSE seems to have lasted a bit over 3 years. We kept close tabs on it since we recommended it and noticed it had dropped out of the top 10 and eventually dropped out of the top 25. We stopped recommending it and went on a search for a replacement. None of the free antivirus solutions provide adequate protection from PUPs, malware, browser & search engine hijackers… in fact some of the free solutions acted more like PUPs than security solutions. After spending weeks testing all kinds of security/anti-virus software, we began recommending Emsisoft – and we still do. We believe in Emsisoft and we use it ourselves. I digress… Microsoft’s MSE was really a great product when Microsoft introduced it and during the time when it seemed fully committed to it. But just a few years after its release, MSE failed to provide users with even the most basic protection. And that brings us to now and to Windows Defender. 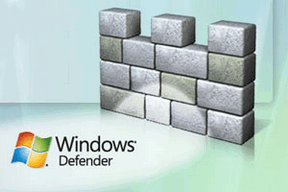 Windows Defender is a direct descendant of MSE. And, as per usual, Microsoft is back to bringing out all its trumpets playing grand flourishes and making claims that Windows Defender provides every Windows 10 user with adequate protection. Sorry Microsoft. After we trusted you with OneCare (Microsoft Live OneCare) and then trusted you again when you released Microsoft Security Essentials, you’ll have to forgive us if we’re skeptical about your claims that Windows Defenders. How long will your commitment to Defender last? We say “No Thanks!”. We’ve been led down this primrose path before. So, we’ll continue to trust our PC’s to Emsisoft. And we’ll continue to recommend Emsisoft. And if users choose to use Defender, they’ll be happy to learn that they can use Emsisoft right along with Defender. That way, whenever Microsoft starts diverting resources from Windows Defender and tosses it in the trash bin with One Care and Microsoft Security Essentials…their PCs will still be protected. Fool Me Once Shame On You! Yep! I messed up and I fixed it. Thanks for catching that, Randy! This article doesn’t give any technical data about why you won’t trust windows defender, more of your personal opinions on it and it’s predecessors.. quite a let down of an article. This is an opinion article. That’s why it’s called “Why WE Won’t Trust Windows Defender”. Does that say “Why YOU Should Not Trust windows Defender”? Sounds like a shameless ploy to get users to purchase Emerisoft from you. Windows Defender is going to be one of first security solutions to incorporate machine learning very this fall. Making 3rd party antivirus software obsolete. This is why Kapersky through a fit. That is a good little history lesson above and true from what I remember. From those with doubt they know how to Google. Look it up. I used to use Microsoft Security Essentials until it fell apart. It was pretty good back then. Later I would tell my friends not to use it. Computer sites stopped recommending it also that I looked at. Microsoft had just let it fall apart. Speaking for myself there is know way I would just run Windows Defender by its self “if”you are going to run it. It would be running along with something else. What ever program you choose that is compatible. Emsisoft works for me because I was looking for a good blocker. You can use what ever you want I don’t really care. The point is Microsoft has a bad record with these programs of not keeping them and etc. over time. That is what you are trying to be told. By all means please Google! I really like Emsisoft; never have any problems. Windows Defender is on my computer with Windows 10. Would it be best if I deleted it or is it doing any harm. I rely on both of you to keep me running.